Are you dreaming of a Calm Christmas? It’s the ‘most wonderful time of the year’. A time to take a break from routine, connect with family and friends and have some fun. Yet sometimes the ‘most wonderful time of the year’ can feel like the ‘most stressful time of the year’. Finishing off work before the holidays + back to back social events + family commitments + Christmas shopping = Stress, Overwhelm and Exhaustion. The desire to be all things to all people can leave us feeling like we are not good enough in any department. 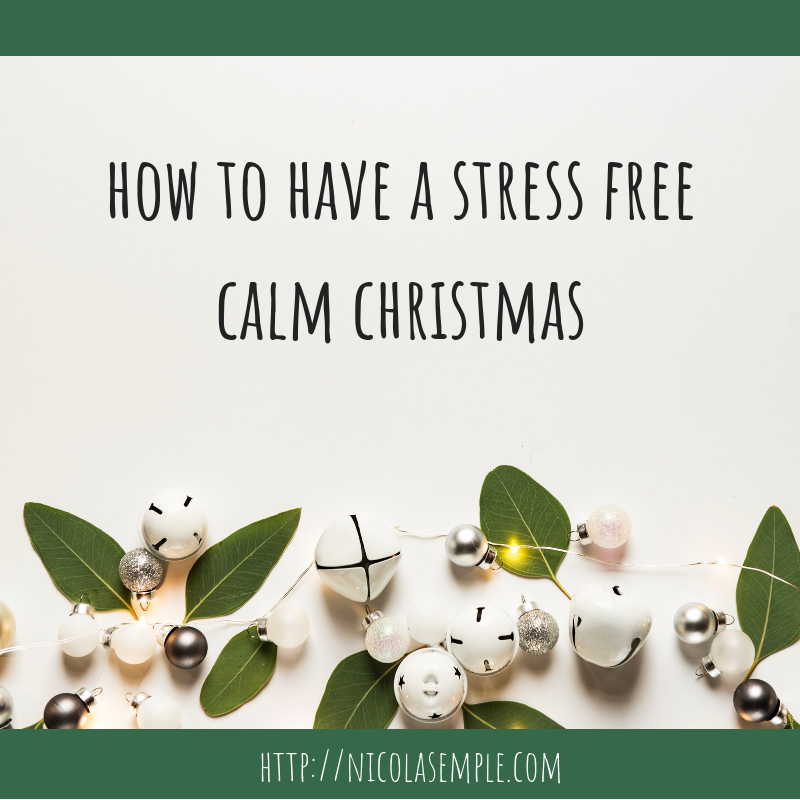 Here are my top seven tips to help you have a stress free, calm Christmas. This is the most important and often the hardest step of creating a Calm Christmas. Take five minutes to yourself, grab a cuppa and a notebook and jot down what your dream Christmas looks like. Your dream Christmas might be lying on a tropical beach, sipping a Pina Colada and not clapping eyes on a single family member for two weeks. Your reality might be taking the three kids and dog to Bognor Regis to visit the in-laws for three days. That’s OK. Figure out your ideal scenario first. From your ideal scenario, identify the elements that are non-negotiables. It might be the people that you spend time with (or don’t spend time with), the places you want to visit (or not visit), the presents you want to give (or not give) or the food that you want to eat (or not eat). 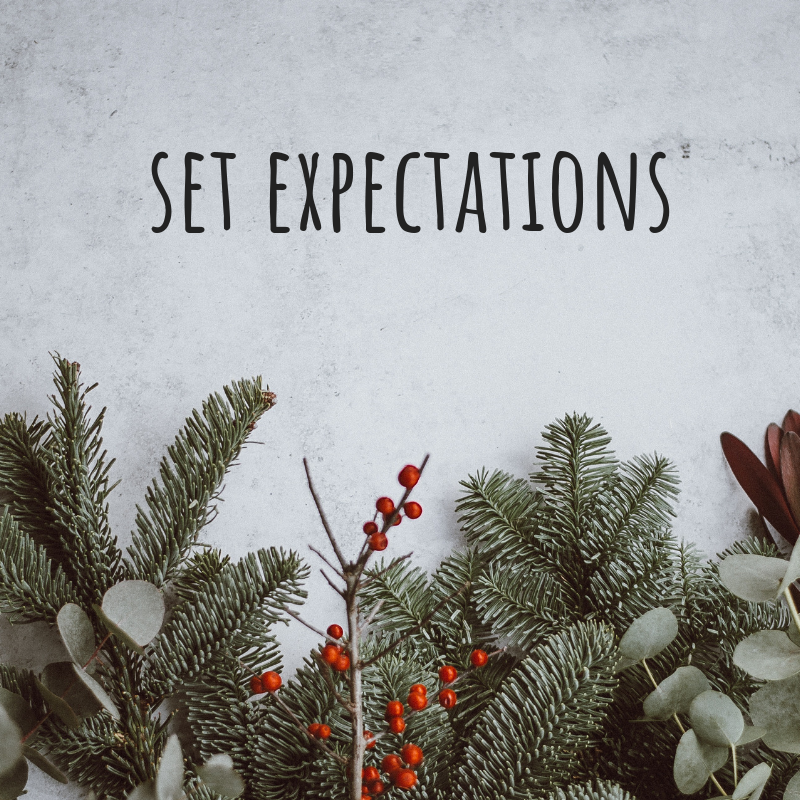 Once you have identified your non-negotiables, build them into your festive plans. And let the rest go. If eating homemade Christmas Cake is uber-important to you then make sure that it happens. You can then relax and let other people make the decisions about the things that are less important to you. 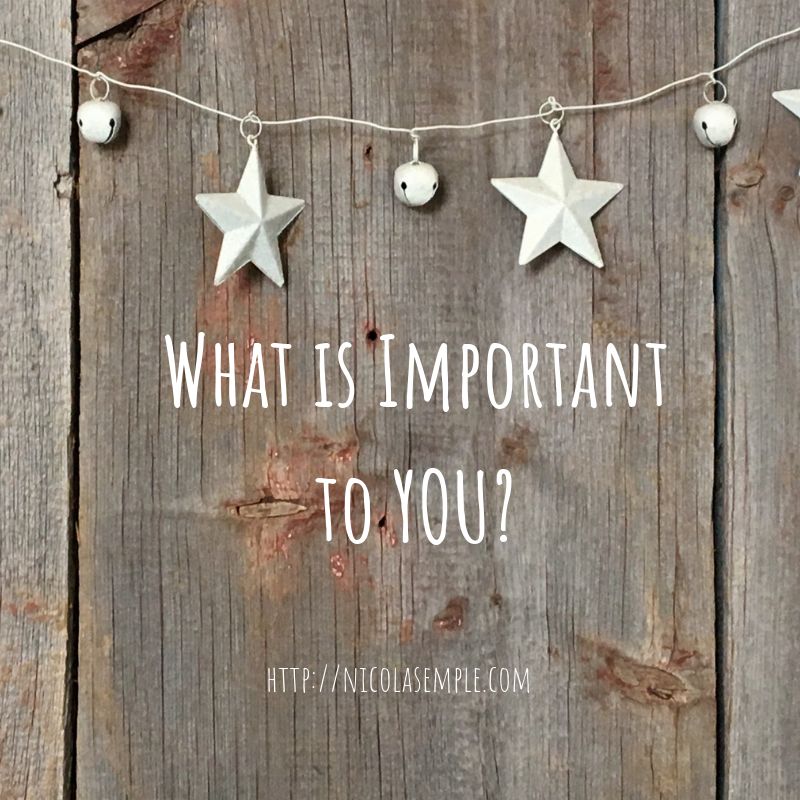 Identify the bits of festive fun that are important to you, make them a priority and don’t worry about the rest. 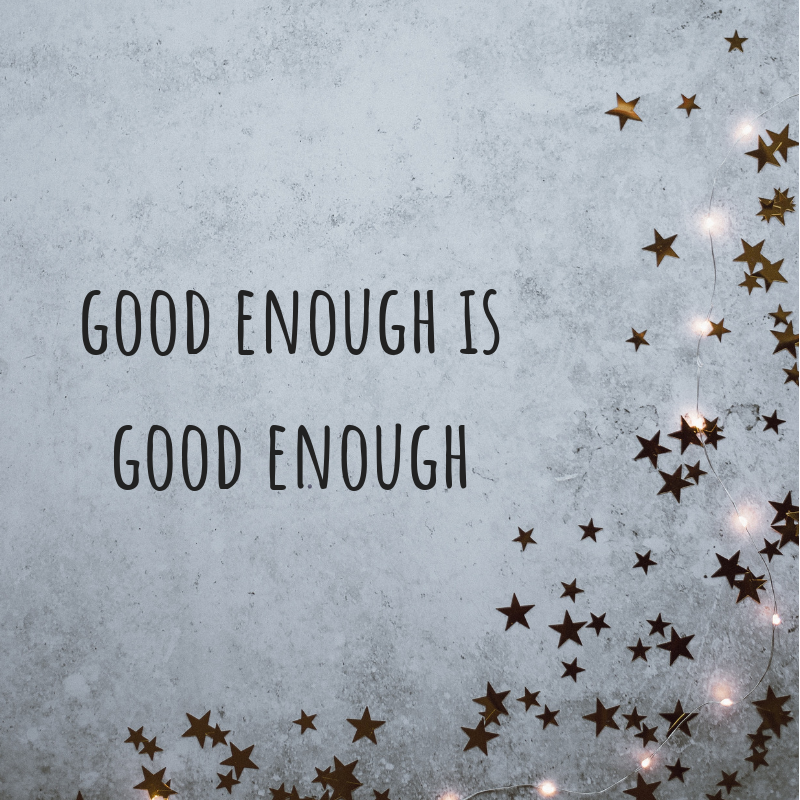 The ‘good enough is good enough’ mantra is true for all aspects of life, not only Christmas. Don’t let your perfectionist tendencies take over and ruin your festive seasons. If you are tight on time it doesn’t matter if your gift cards don’t match your wrapping paper. The kids won’t even notice if you haven’t managed to wrap the stocking fillers. Your guests will not care if you microwave a ready-made Festive Red Cabbage rather than slaving for hours over the real deal. Good Enough really is Good Enough. Make sure that your friends and family know your plans for the festive season. If you have decided not to buy as many gifts this year, talk to the people that you have bought for in the past and explain your reasons why. If you have decided not to attend as many social engagements this year, explain to others why you are doing what you are doing. These conversations might feel uncomfortable. But you will prevent bad feelings and misunderstandings further down the line. You don’t have to do it ‘all by yourself’. Christmas is a lot of fun but the festivities also generate a lot of extra work. Don’t feel the need to be a superhero. Or even worse, don’t be a martyr and take on the extra work and silently (or not so silently) feel bitter and resentful. 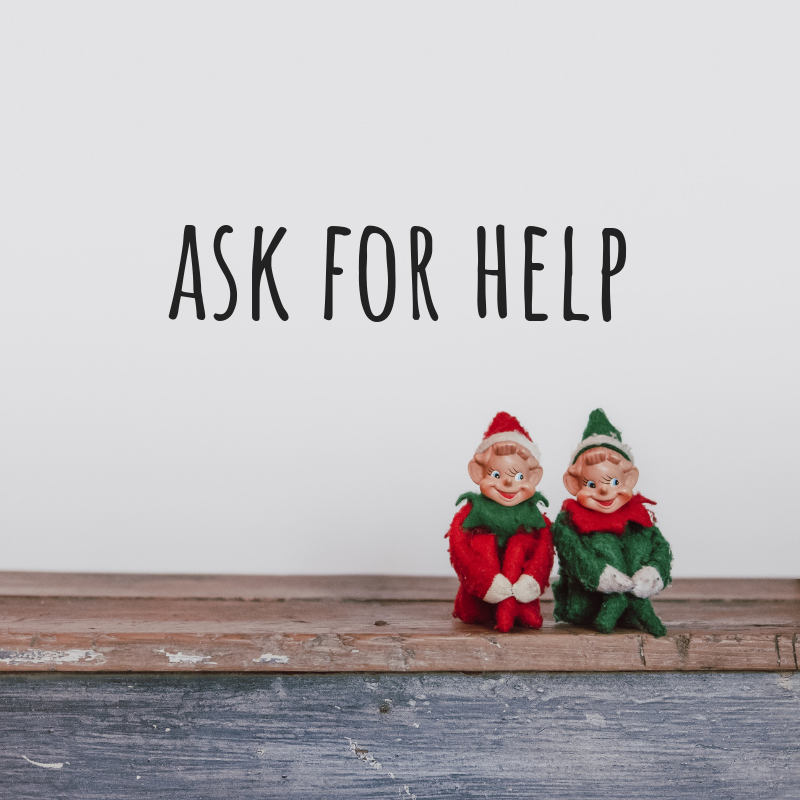 Work out where you would appreciate some help and go and ask for it. And if somebody offers their help, embrace it with open arms! You do NOT have to do it all or take part in every Secret Santa opportunity or attend every social event. Hold firm to that vision of your ideal Christmas. Then say no to everything that does not take you closer to that vision. If saying no is something that you struggle with (You are not alone. Many people would rather walk over hot coals rather than say no) then you need to listen to this episode of The Good Life Well Lived podcast about Learning to Say No. 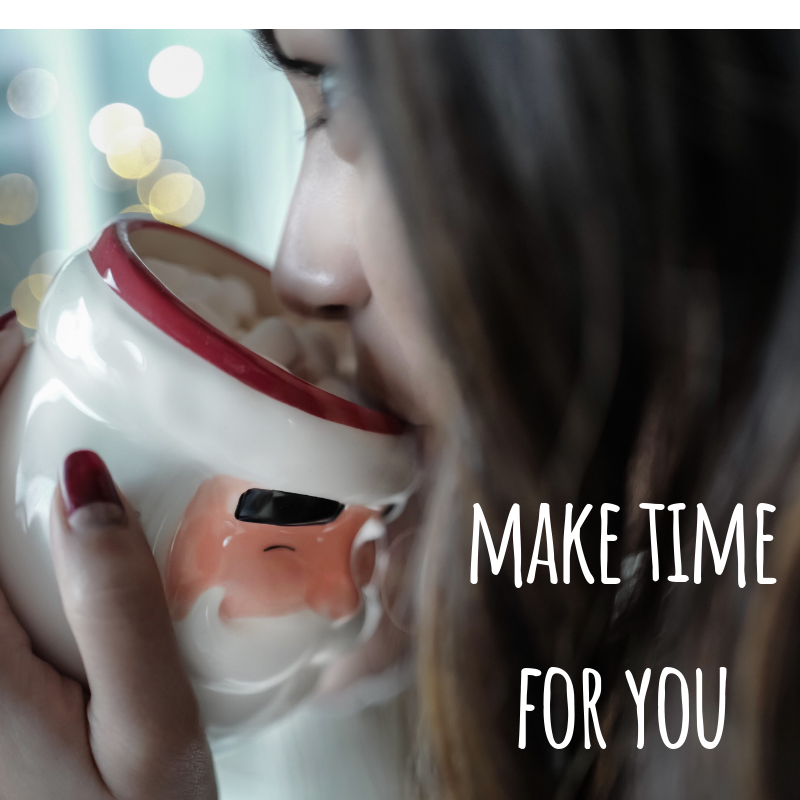 Make sure that you carve out some time for yourself this Christmas. If you have children it can be tempting to think ‘Christmas is all about the kids’. And yes, Christmas is a special and magical time for children. It’s a time to surround ourselves with the people we care about and do the things that are important to us. But it’s also a time to look after ourselves. It’s a time to retreat and replenish ourselves and prepare for the long, cold, dark winter months. 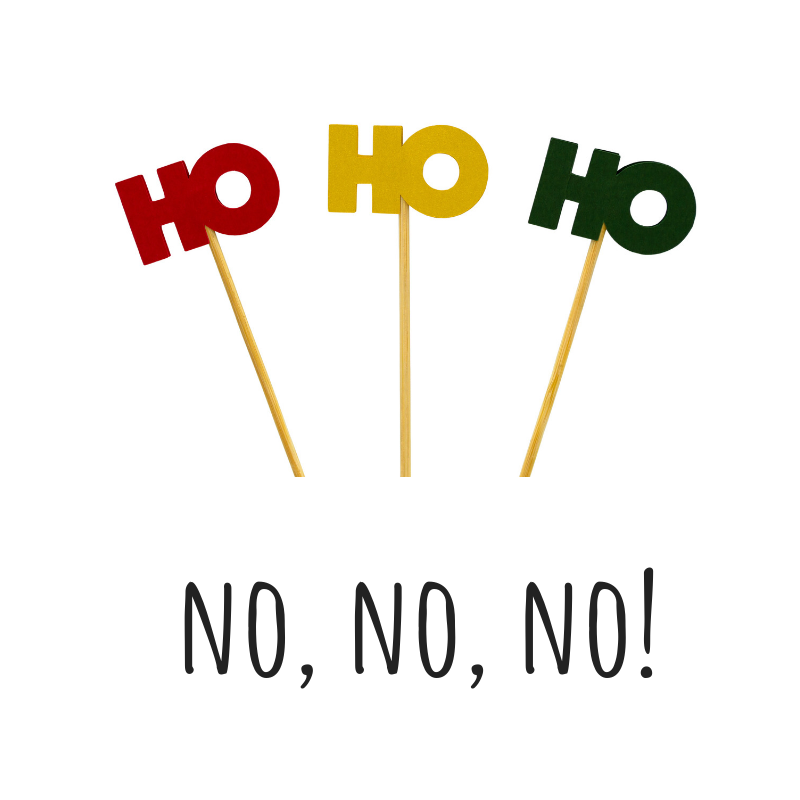 This is a special note for those of you who may suffer from a little Christmas guilt. If you are lucky enough to have a roof over your head, food on your table, family around you and a few presents under the tree then you are doing better than a lot of people. Be grateful for what you have and help other people where you can. BUT don’t fall into the Christmas guilt trap. 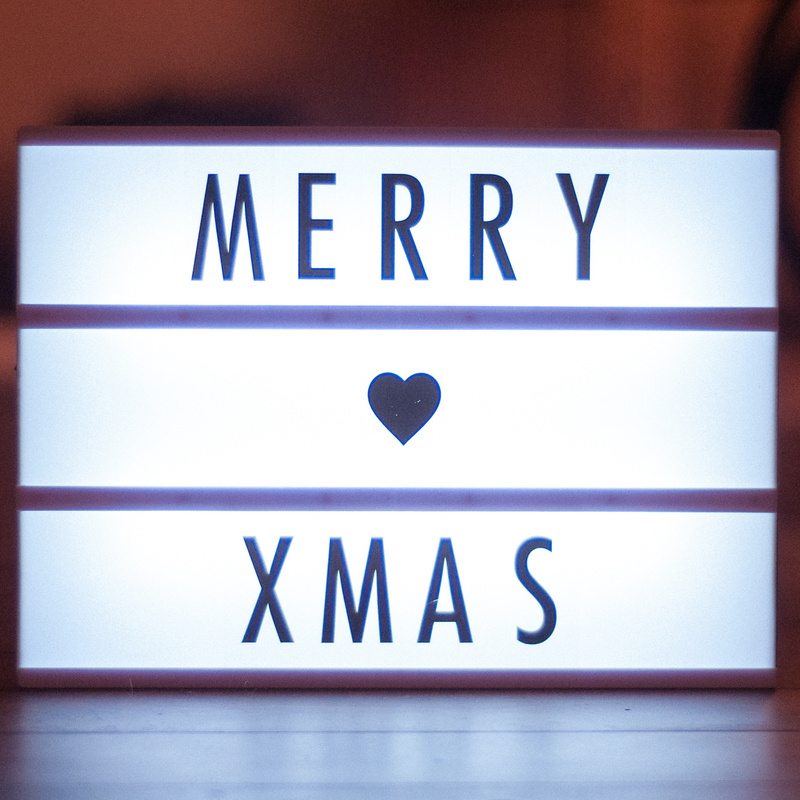 You are still allowed to enjoy Christmas even if it is a difficult time for other people. Pick one or two causes to support this Christmas. Support them wholeheartedly in any way that you can, by giving money, your time or both. But don’t feel that you have to support every good cause that comes your way this Christmas. As much as you may want to, you can’t help all the people all the time. This is the route to exhaustion and dissatisfaction. Appreciate what you have, support where you can but don’t forget to enjoy yourself in the process. Enter your details below to access my Calm Christmas Audio Download, your five minute breathing space to help you enjoy the festive season. This short audio will help you to focus on the things that matter most to you this Christmas and help you make them a reality. You can return to it any time you are feeling stressed or overwhelmed this festive season. GDPR Compliance Please tick the box below if you would like my weekly insights and tips to help you have a good life well lived. No spam. Ever. I promise! Ready to live your own version of a good life well lived? Join the Community today for weekly insights, tips and support.